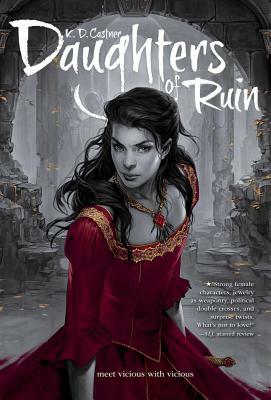 Game of Thrones meets Graceling in a thrilling debut that follows the four fierce princesses of enemy kingdoms as their worlds collide in the throes of war. Not long ago, a brutal war ravaged their kingdoms, and Rhea's father was the victor. As a gesture of peace, King Declan brought the daughters of his rivals to live under his protection -- and his ever-watchful eye. For ten years the girls have trained together as diplomats and warriors, raised to accept their thrones and unite their kingdoms in peace. But there is rarely peace among sisters. Sheltered Rhea was raised to rule everyone -- including her “sisters” -- but she's cracking under pressure. The charismatic Cadis is desperately trying to redeem her people from their actions during the war. Suki guards deep family secrets that isolate her, and quiet Iren's meekness is not what it seems.